If you’re planning to upgrade your landscaping this season, you should hire a professional for the job. After all, most landscaping projects, whether it’s installing an arbor or replacing old fixtures with newer, better outdoor lighting, can be a huge investment. To make the most of your upgrade, you’ll want to go for someone who can ensure a smooth, stress-free process. Read on as Sherwood Gardens, the premier landscape company in and around Norman, OK, shares some tips. Get local referrals. This may seem an outdated practice, but referrals are still the best way to find the right company for your upgrade. By asking family and friends for potential names, you’ll have a clear and more accurate idea of how a given company conducts business. Sherwood Gardens, for example, gets its work mostly through referrals—a testament of our commitment to excellent workmanship and full client satisfaction. Check for the necessary credentials. Once you’ve gotten a few reliable names, it’s time to do a bit of homework. Make sure your choice of contractor has the applicable business licenses and insurance, which should include workers’ compensation and liability coverage. All of these help protect both you and your investment in case anything goes awry during the project. Worker injuries and property damage are not uncommon. 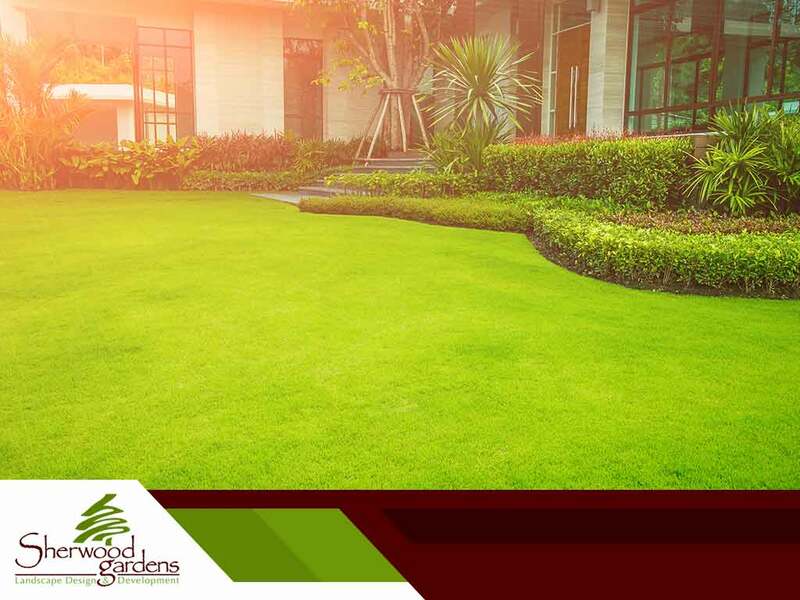 But hiring a licensed and insured landscaper, like Sherwood Gardens, ensures you’re covered. We’ll be happy to show you our credentials should you choose us for your project. Look for an extensive selection of high-quality products. You don’t want to choose a landscape contractor whose entire catalog can fit on a single page. This won’t be an issue when you turn to Sherwood Gardens. We have our own nursery, which includes 20 acres of trees, shrubs, flowers, boulders, ground cover, annuals and perennials. If you want something more unique to your landscape, we also have redwood trunks, odd shaped rocks and other unusual features that you can use as garden sculptures. With us, you can have a more interesting backyard. Choose someone experienced. Don’t suffer costly mistakes and property damage due to sloppily completed landscape work. Look for a pro with vast experience in this field, like Sherwood Gardens, your expert in landscaping in Norman, OK. We have more than 25 years of combined experience in landscape design and development, ensuring timely and efficient work that adheres to quality standards. From pool and spa installation, outdoor kitchens, fire pits, arbors, decks and patio construction, expect your project to go off without a hitch when you turn to Sherwood Gardens. We serve Norman, OK, and the surrounding areas. Call us today at (405) 478-4600 or fill out this form to schedule your consultation.